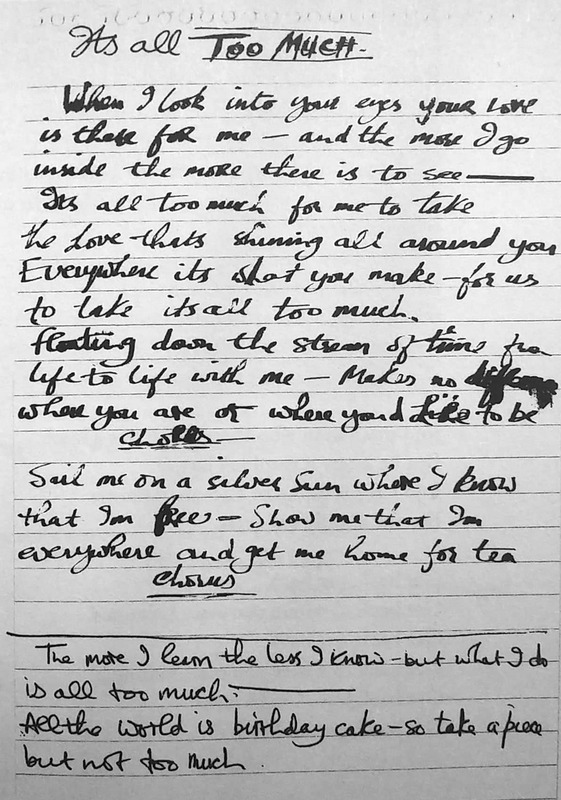 This was The Beatles' second consecutive session at the independent De Lane Lea Studios, where they continued work on It's All Too Much. The session took place from 7pm until midnight, and was conducted without producer George Martin being present. The first task was to create a reduction mix of the 25 May 1967 session, to free up space on the four-track tape for further overdubs. Had the session occurred at EMI Studios these two mixes would have been numbered five and six, following the four takes of the backing track, but instead they were known as takes one and two. This new take two was then overdubbed with George Harrison's lead vocals, backed by John Lennon and Paul McCartney on vocals and handclaps. These were added onto track two, and cowbell and tambourine were then added to track three. The recording of It's All Too Much was completed on 2 June 1967.